Just a question about your PFD efis. What are the 3 abbreviations and numbers down the right hand side of the screen. Its mx, cr and mn (I think in that order). I really like the 2 Dynon screens, gives you alot of info and the engine efis is nice and clear and concise. Sounds like you having a great time enjoyinng the fruits of your labour. MN = Minimum (including Negative G Reading if gone negative): Value of 0.2 from the previous days Aero Practise. I really like my 2 Dynons as well, ability to swap screen info between pilot and pax. Clear, high resolution and yet not too cluttered. Flying LOP on it is a treat and concise even I can do it so simple, you see the top EGT value i.e. "2-45", Means it peaked 2nd and currently running at -45 degrees Lean of Peak. Simple hey! That said these are old (2 Years since I bought them) there are some exiting stuff on the market now, or soon available. Like the NEW generation Dynons! BUT Dynon just release AutoPilot integration into the old Dynons, blowing new life into them. All you need is 2 Servo's no additional Unit Head. Many thanks for a great morning. You have no idea how much"gees" you put into our project. Cannot wait for the big boxes to arrive now. The Empennage is almost done. What a wonderful machine, really neatly turned out and it flew like an absolute dream. The weather was fantastic, air still and the rolls and wingovers were absolutely fantastic. Some day, I will be doing that in my own aircraft. Wow what a weekend! First the BAD, I'll post the GOOD later! Armed response got there just too late. They basicaly broke in through the main hangar doors. First they loosened a paving brick and then broke my external security lights. Then they crowbarred through the main doors. The alarmed must have triggered and the strobe started flashing. The smashed the strobe light. The huge siren I have inside must have anoyed them, they destroyed the whole alarm box, ripping out the alarm board and damaging it beyond repair. Then they broke the 'office' sliding window jumped in and only stole a small microwave value R400. This p!sses my off, there is nothing valuable to steal in the hangar but a kettle, bar fridge and microwave. Armed response is going to be on you in minutes so you are not going to have any time to steal anything off any aircraft. So it must be small time criminals, stealing a R400 Microwave and cuasing R4,000 damage. FAKRs! If I catch you I'll give you a hosepipe beating you'll never forget! I spend the whole of Friday since 2AM trying to mend the situation, secure and alarm the hangar again. You can imagine my mood on Friday! 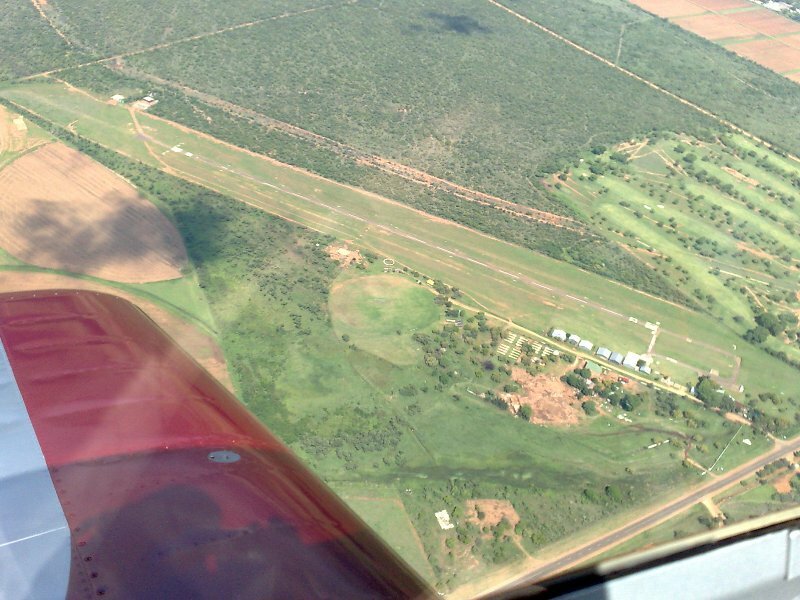 We wanted to leave for the Klerksdorp Aerobatic Extravagansa on Friday Afternoon, but Thunder Storms delayed us until Early on Sat Morning. 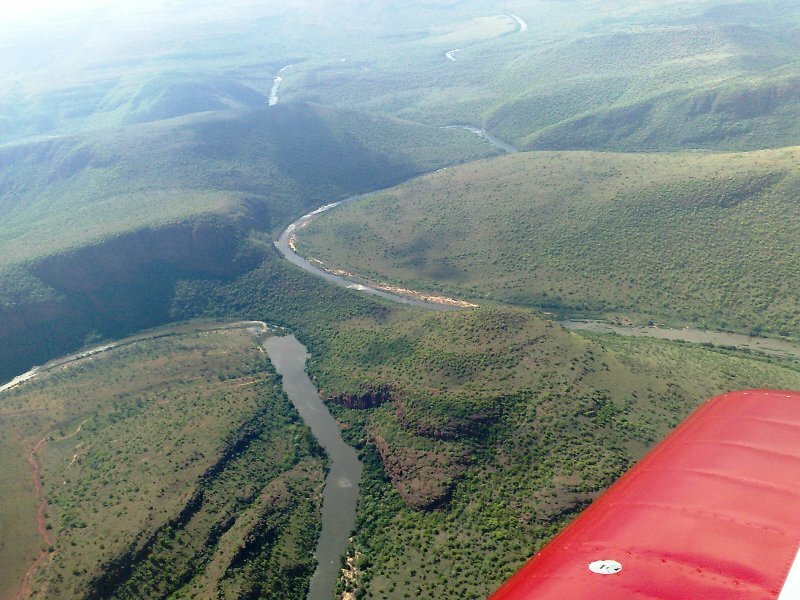 In total 7 airplanes left Springs for Klerksdorp: 3 trikes, 1 RV, 1 Samba, 1 Pacemaker and 1 Cheetah. I gave Ferdi his first RV ride, and YES he enjoyed it. A fantastic time was had. The wind was just a little more than I was comfortable with to go do some Aeros practise in, so I 'chickened' out, till next time . But we still had a great time. The WX got bad mid afternoon putting a damper on the event, I managed to get into a hanger with friends. Some guys opted to return to their home airfields instead of leaving their craft in the open. We stayed the night and had a lekker lamb on the spit. Rudi, I havnt visited your thread for some time. Congrats on the silverware - I'm not surprised in the least! Keep on sharing your adventures - its really the icing on the cake! Flip a Fellow RVator #6: Yes he enjoyed it, check that RV grin! 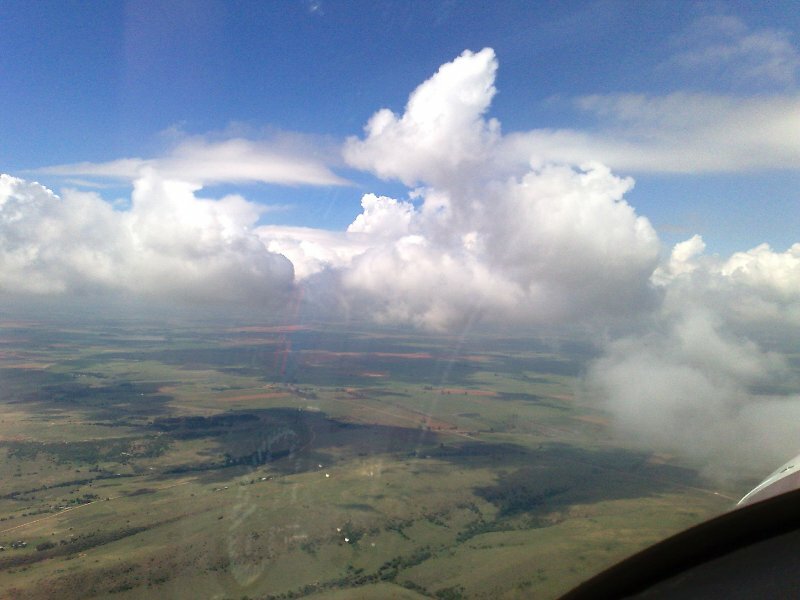 Today was just one of those magical flying days, those that awaken the romance of flying. 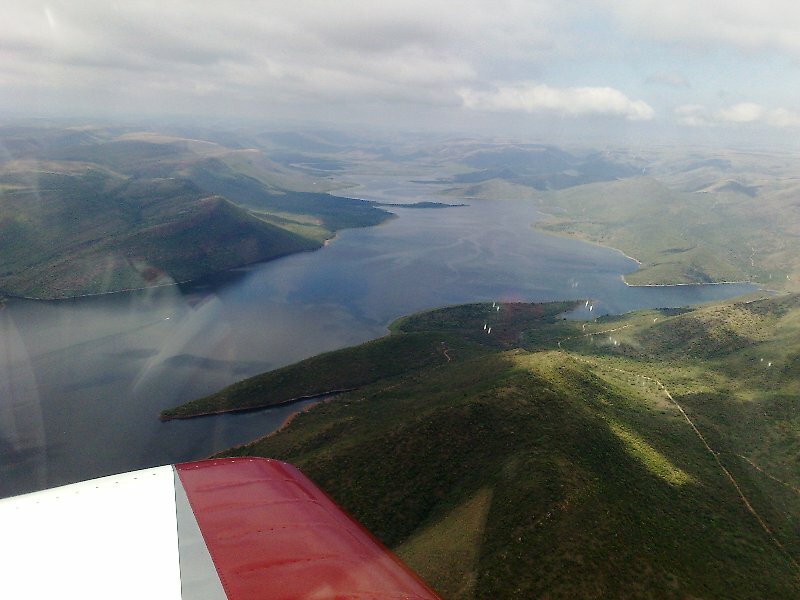 After all the rain of the past weeks, I decided to go fly the Loskap Dam and Groblersdal Valleys...Beautifull! I had scattered cloud ceiling playing sun and shadow effects on the lust green area. I don't know Tell us! Sorry to hear about the break in - bastards!!! 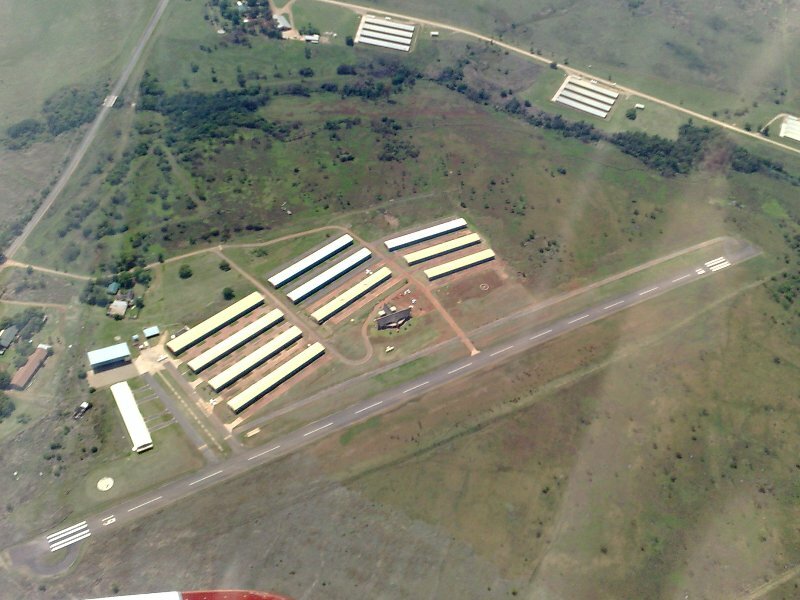 Are you up for a fly-in meeting at Brits - probably this sunday? Hi Rob I think Brits has a Breakfast fly in on Saturday??? Can you make Saturday Morning?